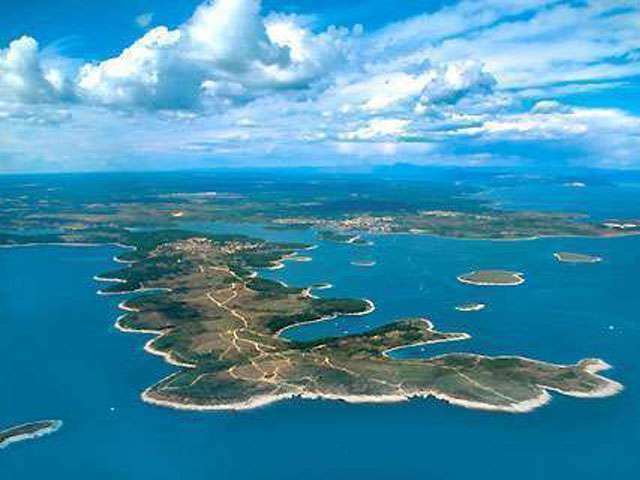 From the holiday coast of north-west Croatia, it is a 20-minute ferry ride to Brijuni, an archipelago of 14 islands that for the last 30 years of Josip Broz Tito's extraordinary life became his private playground. Tito would spend up to six months of the year on the islands, gardening, fishing and enjoying a lifestyle of luxury unimaginable to most of his people, if they had ever known about it. Many beautiful women came to Brijuni on private visits unrecorded by the official photographer. He had a circle of famous and glamorous friends, among them Richard Burton and Elizabeth Taylor, Sophia Loren, Gina Lollobrigida. Tito would collect them from the boat in his 1950s Cadillac, a gift from President Dwight Eisenhower, and drive them to one of four sprawling villas tucked away in the woods. It is a rarity dark green 1951 Cadillac Eldorado, which, due to its great museum value estimated at more than a hundred thousand euros. Cadillac has been renovated and is now owned by National Park's of Islands Brijuni. Unlike other wealthy fleet which served Tito, this Cadillac is considered as his own personal car. Probably the greatest promoter in the history of the Cadillac was the legendary Elvis Presley, who made his first pink-and-white copy bought 1955. On Brijuni islands you can get a ride in Tito's Cadillac which will ne driven by the official driver, but this pleasure is not to cheap one hour ride will cost around 700 EUR, if you find it too expensive, you can just take a photo by the car, the picture cost about 10 EUR. Often you can hear that this car value is priceless.